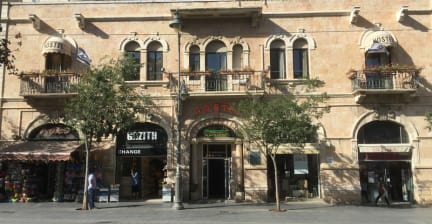 The Jerusalem Hostel i Jerusalem, Israel : Boka nu! Very nice and clean, stairways and corridors had a bit of a hotel feel, dorms where pretty basic. Fresh common kitchen, en suite bathroom was kept tidy. No lockers for valuables which was a con. I loved the cats hanging around on the roof top, and of course the roof top itself where breakfast was served each morning. The staff was ok, but nothing special - except from Abraham who was such a warm hearted person! 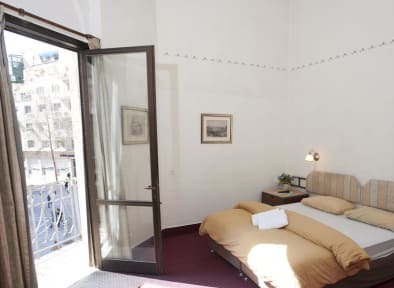 Good location with walking distance to bus station and old city. Very good value!